The foundation of your home is the building block that supports the entire structure. The roof of your home, however, is your first line of defense against all types of weather. In the same way that a solid base is a necessary and important part of the integrity and structure of your home, the roof plays a role that is just as vital to protecting the structure. If you have problems with your roof, your can be sure you will have problems within your house as well. This is why we take great care on all our roof installation jobs, be it a new construction installation or the replacement of an existing roof. Our expert technicians have been trained to accurately identify the needs of our residential customers and provide them with a product that results in lasting protection to their home. Missing shingles, holes, bare spots, damage from hail storms, curling shingles, growing moss, cracks, and even dark streaks are all signs which show the integrity of your roof has been compromised and it is no longer protecting your investment to its full potential. Our trained technicians know exactly what to look for and how to properly everything from storm damage to general wear and tear. Once any issues have been identified, the next step is to provide you with the necessary solutions to keep your home protected and get your roof back into peak condition. 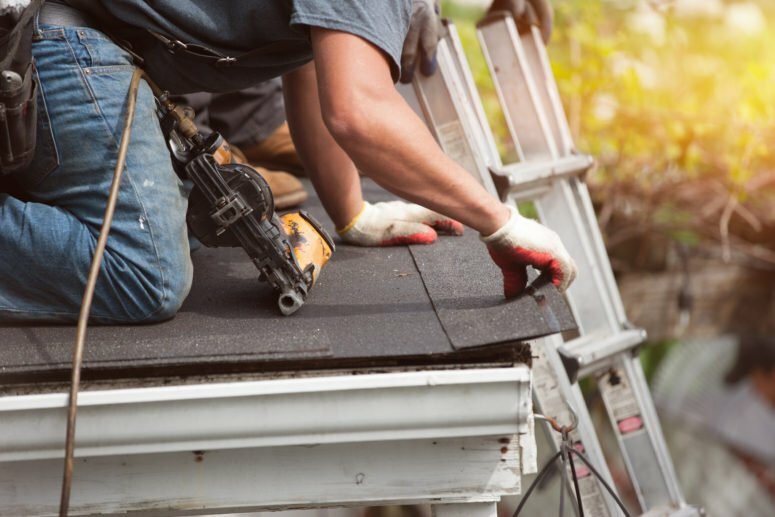 Whether it’s a brand new roof on your new construction home, or an old, damaged roof in need of replacement, Blue Frog Roofing will take care of all your residential roofing needs.